Prague castle is a huge complex, just like Buda Castle. Its not just one piece of building like a fort or citadel. Its a complex of so many buildings, many of which are being used for various purposes today including offices, museums etc. There are various types of tickets that Prague Castle offers that includes entry to some, many or all of the various buildings (details below). The ticket is valid of 2 days and really, trust me on this, you need 2 days to somewhat see the whole castle! We bought Circuit A ticket which gave entry to most (but not all) of the sites. I did not even realize Circuit A did 'not' cover all sites; I had assumed it did, coz it was the costliest! More details on that below! Though the tickets were valid for 2 days, in our 3 day trip, we could accommodate the castle for only 1 day and it is really not enough to see everything! Our first stop was ofcourse the St.Vitus Cathedral! This is Prague's version of London's Westminster Abbey. Its not just a place of worship, but its where all the coronations, weddings, burials etc of Czech royalty happens! The original church at this site was built in 925 CE and then it became a Romanesque Basilica in 1060 CE. The current construction began in 1344 CE but got over only in 1929 CE after it got halted and that lasted centuries and began again only in late 1800s!!! Today the Cathedral has its main nave surrounded by several chapels. The stained glass windows of the Neo Gothic era are an absolute stunner. Around the nave is also, ofcourse the Tomb of St.Vitus and Chapel of Virgin Mary opposite to it. The first relic of St.Vitus arrived here in 929 CE. Straight behind the altar are some chapels filled with gorgeous paintings. 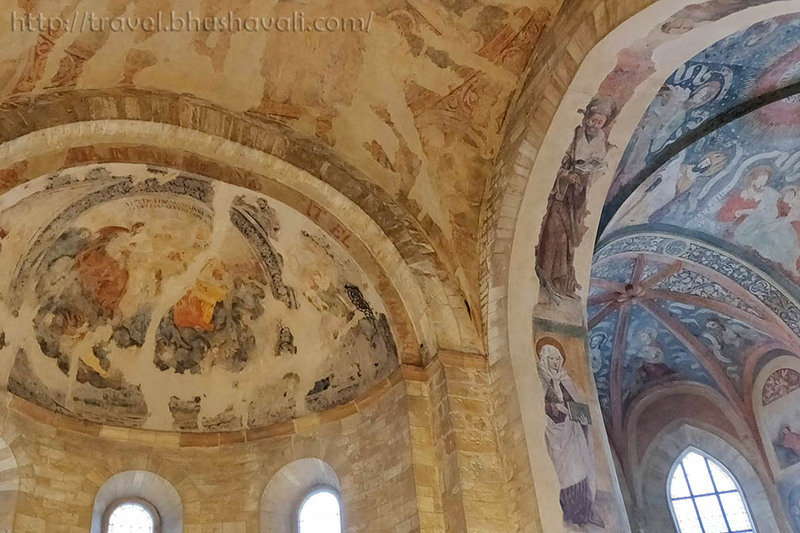 In Saxon Chapel is a fresco from 1377 CE; in Vlasim Chapel are 2 frescoes made prior to 1380 CE; Wallenstein Chapel with several frescoes; Chapel of the Holy Cross, with a single fresco of Virgin Mary and baby Jesus surrounded by several saints, again definitely made prior to 1380 CE. Finally is just mind blowing the Last Judgement Mosaic on Golden Gate. It is just so rich and so gorgeous!!! Sadly the Treasury of St.Vitus Cathedral, that I really wanted to see, was not covered under Circuit A ticket! Our next stop was the Old Royal Palace which as the name suggests, is the original wooden palace that served as the residential complex from 9th C CE to 15th C CE. This is in 2 floors. Don't miss the defenestration window in the top floor through which Catholics were thrown out by Protestant royals, eventually causing the 30 years war in 17th C CE! Our next stop was the permanent exhibition of Story of Prague Castle. Our next stop was St.George's Basilica. 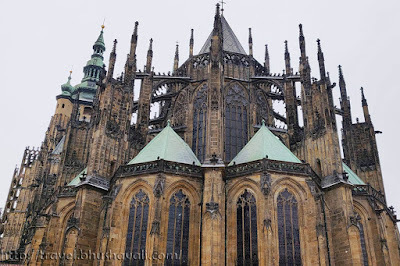 Following, St.Vitus Cathedral, this was the 2nd church that came up in Prague Castle. Though St.Vitus cathedral has historic murals, it was a bit too crowded for me to enjoy. St.George's Basilica on the other hand had hardly 1/4th the crowd. 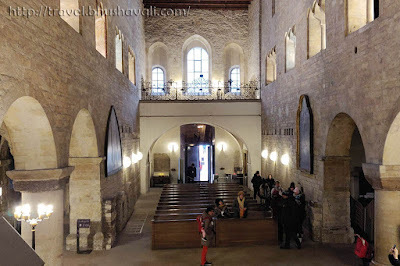 Though the original church belongs to 920 CE under Prince Vratislav I, the current structure belongs to early 13th C CE and the Baroque parts of the church belongs to the 18th C CE. The partially faded murals are just a treat to the eye of any heritage enthusiast. On the way to the Golden Lane, there's a tiny cafe and the tomato hummus panini here was just divine! Looks like Prague has quite a bit of vegetarian/vegan people, coz the veg food options are pretty decent and very tasty!!! Our next stop was the Golden Lane. This is to get a feel of how, life of a common man would have been in Prague a few centuries ago. While the ground floor is filled with recreated old houses while the upper floor has an exhibition of weapons and metal suits of the warriors. This was originally called Gold Smith's Lane, as the name suggests, was occupied by Gold Smiths. Later on, other castle employees incl. guards, gate keepers etc also had their homes here. However after WWII, people here became aware of how picturesque and unique their little houses were, as by this time, large scale, large houses and apartments came into being. They occasionally entertained visitors and rented out their houses to artists and writers etc. Today this is the last reminiscence of how life was in that era. In 1953, the government bought all the houses in this street to preserve it as it is, forever! By this time, it started snowing pretty continuously and I did not want Atyudarini to be exposed to that cold for a very long time, so we set off, back to the hotel. So yeah, we did miss Rosenberg Castle. I did try to visit the next day, but by the time we were back to the city next evening, it was already closing time at the Castle! Also, being winter, the summer attractions of Royal Garden, South Garden and Stag Moat were also closed. As mentioned above, there are various types of tickets that grant entry to various buildings in the castle. To see everything you need to purchase 3 tickets for CZK 850 - Circuit A (CZK 350), Circuit C (CZK 350) and Great South Tower with view Gallery (CZK 150). Its valid for 2 days. Tickets cannot be bought online, but only at the entrance of the building at the Ticket Office. PLUS Photography charges CZK 50. Wow you are making me so jealous like you always visit places that looks like in a fairy tales! Those cathedrals looks grand and if their walls only speaks, we can hear the stories including secrets of this city for many years. Where are you heading next after Prague? Prague castle is such an amazing piece of art. I loved in Prague for a year so had a chance to visit different parts of the castle during the special days when it was free of charge. Highly recommend to check them out for the furufu travellers. The Castle looks huge and majestic! Love the Baroque style of architecture. 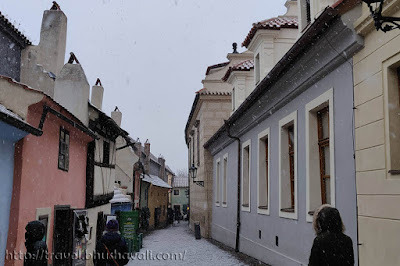 It must have been an awesome experience to visit a part of Prague's living history. This castle is gorgeous! Taking pictures here would be a photographer’s dream! I would love to visit Prague one day and see this in person. I would also love to try the tomato hummus panini here! It's a shame when you realize you needed more time at a site! Although, it looks like you really did make the most of it. Quite lovely and picturesque, with such rich history. Prague castle looks amazing! 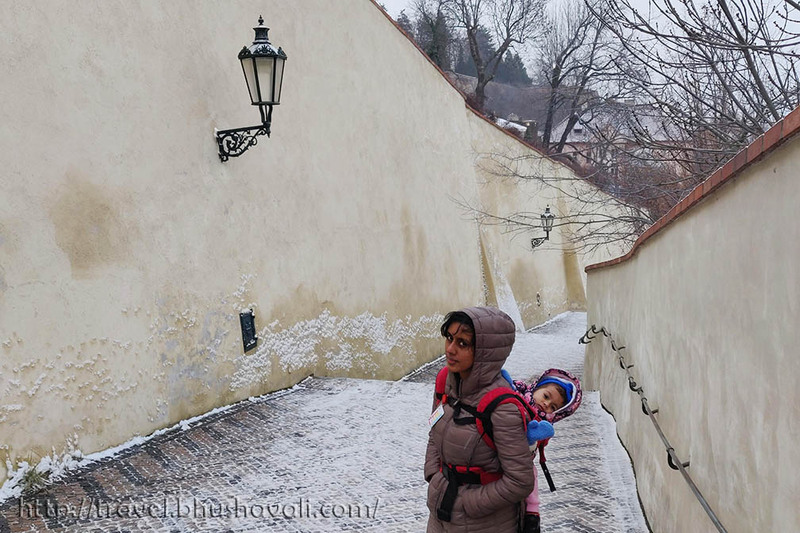 The images are awesome and it looks like it is worth spending two days at Prague castle. 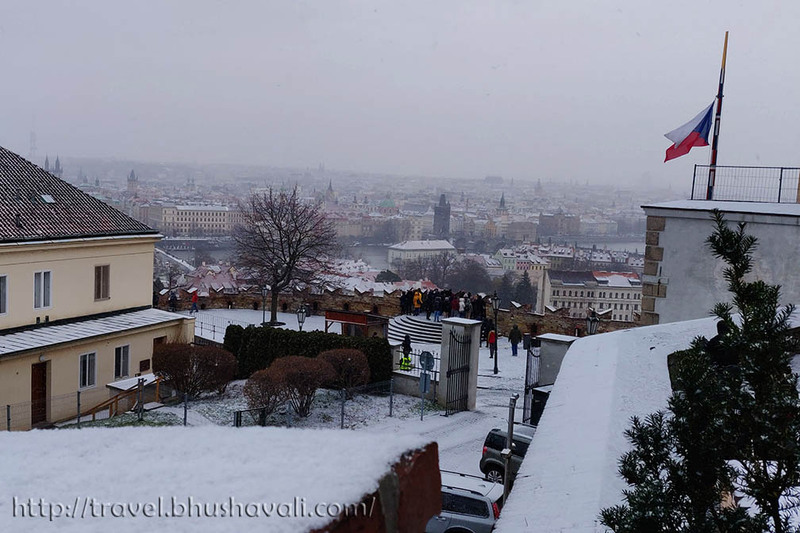 This really makes me want to get myself back to Prague! It's such a sensational city! 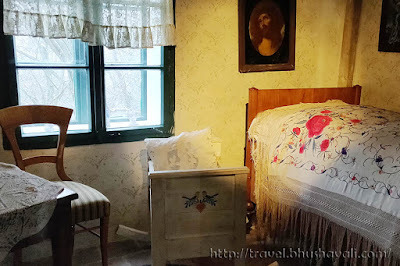 I have only been to the grounds of the Prague castle but never inside- so this post is really encouraging me to visit Prague once more to explore the castle in depth. 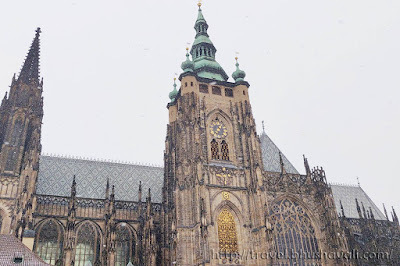 Absolutely loved the splendid architecture of the Prague castle! 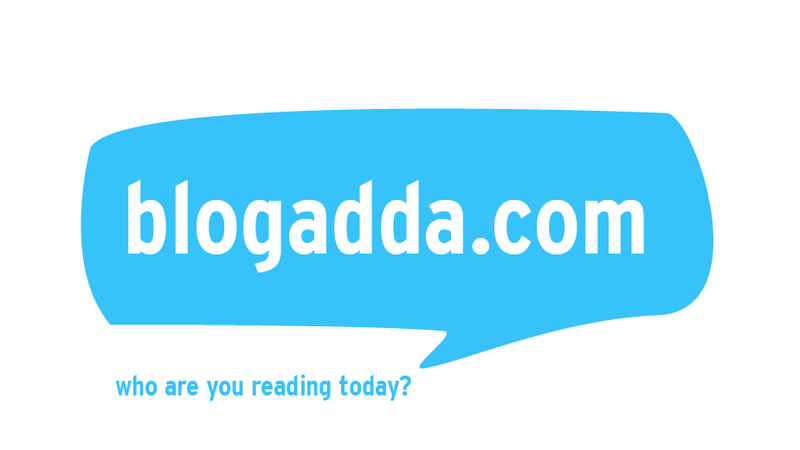 I enjoyed your virtual tour and looks like there're plenty of things to see! I have always been fascinated with ancient ruins and castles. 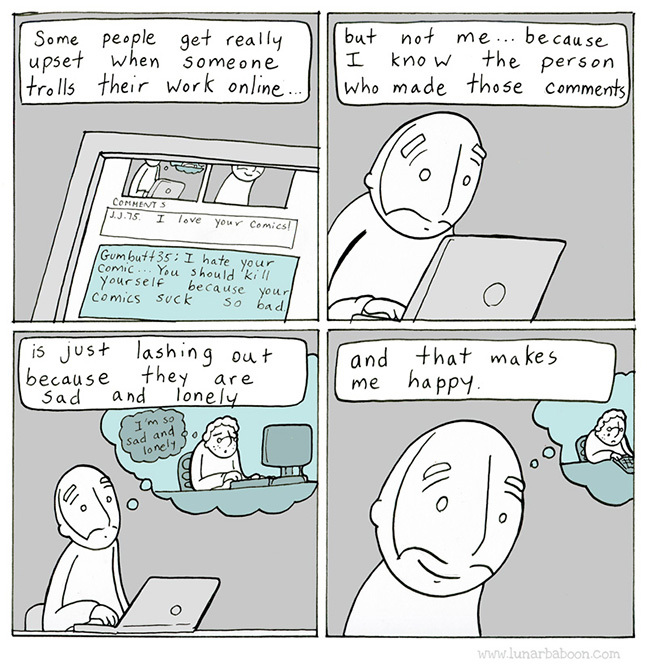 Thus, I really enjoyed your post. The Prague Castle is so beautiful. The details are amazing. I am just so excited to see this up close. Beautiful! I love castles and Czech has so many. The neighboring Slovakia has plenty too! I would love to explore the Prague Castle and I might take half a day to cover all these buildings that make up the castle. The Cathedral of St. Vitus looks marvellous, so are the basilica of St. George and also the Golden Lane. It's a great experience overall. Your post virtually took me to the beautiful Prague castle. I have been thinking about visiting Europe from a long time but need to save a lot inorder to go there with my family. The castle looks dreamy like in a fairytale. Also I cant help feeling jealous to your kid, he's a little jetsetter! Prague is definitely on my list. I have heard so much about it. And since I love these huge fairy tale castles, this has be one of the reasons to visit. The history and heritage is oozing from the pictures and details of Prague castle. I would like to go and explore it for myself. And this definitely doesn't look like a one day thing. Its good to know that the ticket holds good for 2 days. omg i always fall in love with the places you visit and this one is no exception. It must have been an awesome experience to visit this part of Prague.The Castle looks like a dream and I loved its architecture.